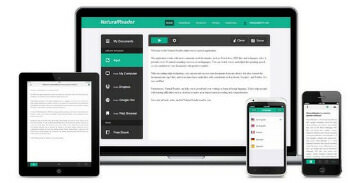 NaturalReader is a text-to-speech software for personal use. This easy-to-use software with natural-sounding voices can read to you any text such as Microsoft Word files, webpages, PDF files, and E-mails. NaturalReader has many other functions, such as OCR. OCR function works with your scanner to convert printed characters into digital text and it is up to 99% accurate. This allows you to listen to your printed file or edit it in a word-processing program.6 natural-sounding voices included. Note: Internet disabled to avoid license check…so it can be used for local files only.